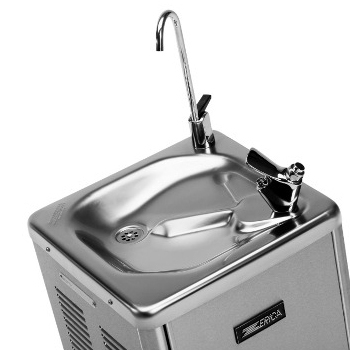 Dimensions: 38.5" x 12.5" x 12"
Refresh P240 HPDC Water Fountain by Zerica, designed in Italy! 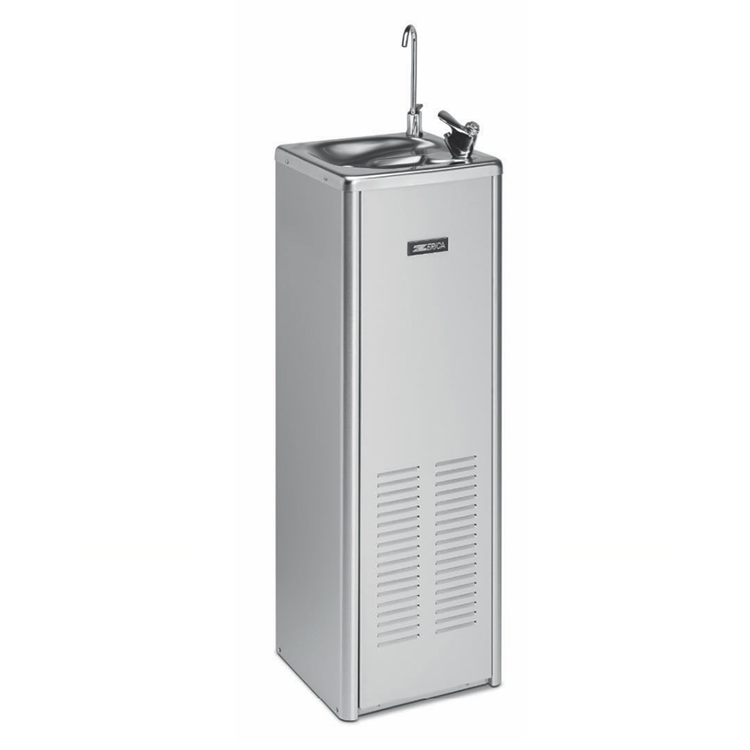 A stainless steel cased water dispenser that delivers continuous, refreshing cold water quickly where demand is high. Its exclusive and unique High Performance Direct Chill (HPDC) technology allows it to chill water in just 3 minutes from power-on. The 1/6 Hp PLUS compressor combined with its high power refrigeration system, at 450 Kcal/h, pushes output to reach the high capacity water supply of 60L/h and an energy consumption saving of 70%. Lower energy consumption, therefore a greater benefit to the planet without sacrificing performance. This 3.2 foot(98 cm) water fountain is protected by a robust stainless or zinc-plated steel external casing that makes it tough, hard wearing and weather resistant. Fitted with the SAHARA CLIMA system and combined with its state-of-the-art manufacturing, these appliances are able to operate even in extremely severe external temperatures of up to 43°C(109°F). 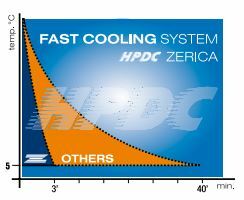 Simple and efficient, it is used in all models for customers requiring high performance and good overall efficiency at a lower cost compared to more advanced cooling systems. 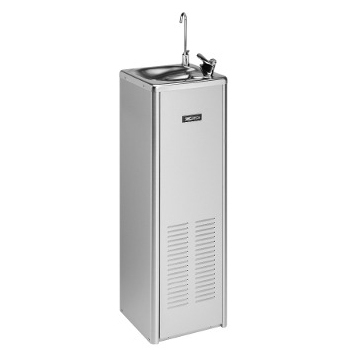 The P240 Water Fountain's innovative system is a product of Zerica's intensive research that also covered materials selection with the aim of improving durability and hygiene levels. As a result, ZERICA started using a special type of copper which comes with a 30 year anti-corrosion guarantee(via drinking water). Clinical studies show that this copper is an excellent inhibitor of bacterial growth and in particular the deadly Legionella. Ecological, efficient, durable and also at the forefront in terms of hygiene, exclusive Refresh P240 HPDC is good for everyone. Cools Water in 3 minutes. New cooling system with silver particles with sanitizing and antibacterial properties. Robust stainless or zinc-plated steel external casing for hard wearing and weather-resistance. Easy Frontal Access for installation and maintenance. Certified(DM 174/2004 - EC 1935/2004) food safe materials used for all components in contact with liquid. Silver Turbo Clean - Evaporator "Zero Bacteria Risk" technology. Frontal Water Filter Room Access. * Data are subjected to change according to use and ambient conditions. - 24 months Warranty on Cooling System.